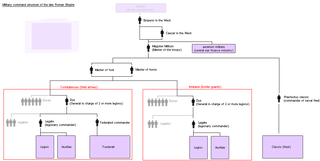 Comes Bonifatius was a Roman general and governor of the Diocese of Africa. 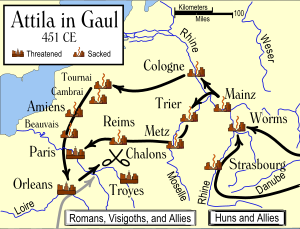 He campaigned against the Visigoths in Roman Gaul and the Vandals in Roman North Africa. 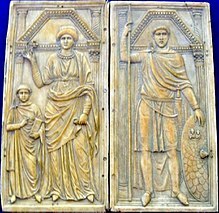 An ally of Galla Placidia, Bonifacius engaged in Roman civil wars on her behalf against the generals Flavius Felix in 427-429 and Flavius Aetius in 432. 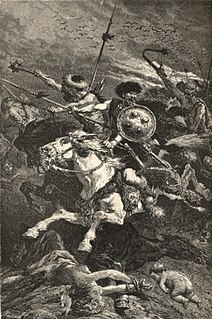 Although he defeated the latter at the Battle of Rimini, Bonifacius suffered a fatal wound and was succeeded by his son-in-law Sebastianus as patricius of the Western Roman Empire.